On Christmas Eve I was baking some loaves of Swedish limpa, a bread made with beer and flavored with cardamom, orange peel and anise seed, and it occurred to me to wonder, as it has many times before, what the difference is between anise and fennel. This time I looked it up (once my hands were washed). The answer is, not a huge amount, but you do need to know the differences if you plan to grow either one. Both anise (Pimpinella anisum) and fennel (Foeniculum vulgare) are native to the Mediterranean region. They are both umbelliferous herbs in the family Apiaceae. 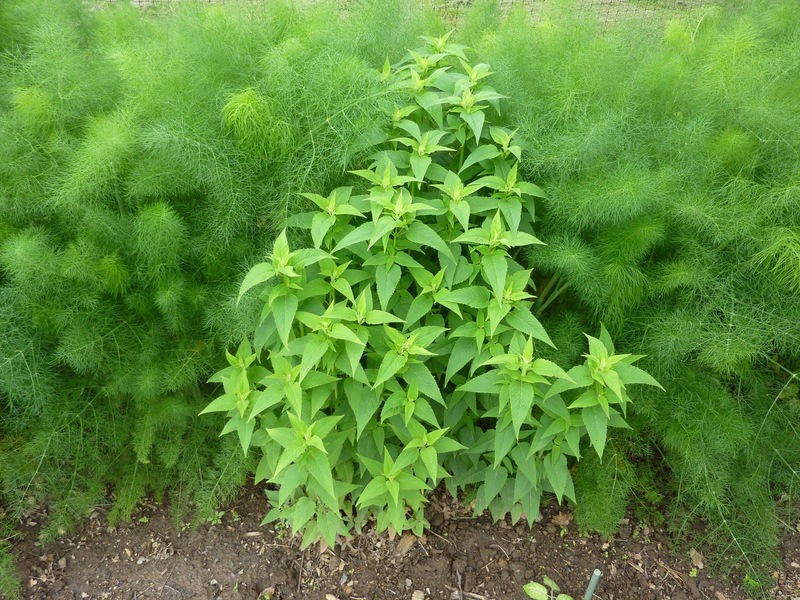 Anise is an annual, dying after one season, while fennel is perennial. I’ve never grown anise, so can’t tell you if it self-seeds as readily as fennel, though many herbs in that family do. Fennel is kind of a nuisance, actually; once you let it go to seed it can be hard to get rid of. Though it can also work well as a landscape element. The flowers of anise are white, while fennel’s are yellow. Both plants are grown for their seeds, which taste similar (and also like the unrelated liquorice (Glycyrrhiza glabra) and star anise (Illicium verum)). Fennel’s delicate leaves are also nice for adding last-minute flavor to some dishes. I’ve never had great luck growing Florence fennel, though I have managed to get small bulbs from it. This variety is technically a perennial as well, but since you have to harvest the whole plant it’s grown as an annual. Fennel or anise seeds are great for freshening the breath. I like chewing on green fennel seeds as well as the dry brown ones. And then I save the brown ones for my other Scandinavian bread recipes that call for fennel seeds. I think when I run out of the anise seeds in the little jar I will just substitute fennel seeds where anise is called for! Either way, a bright pleasant taste. ha ha – I bet the cashier really appreciates that. I have only had anise seed (dried), but have had fennel bulb (in a delicious gratin my sister made). For me, the fennel caused a not horrible, but severe enough to visit the doctor and get meds allergic reaction (I'm not a very allergic person). I wonder how I'd do with some fresh anise. Wow – I hadn't heard about fennel allergies, but considering all the compounds that must be in there to provide the flavor it makes sense. Thanks for taking me into new herb territory. 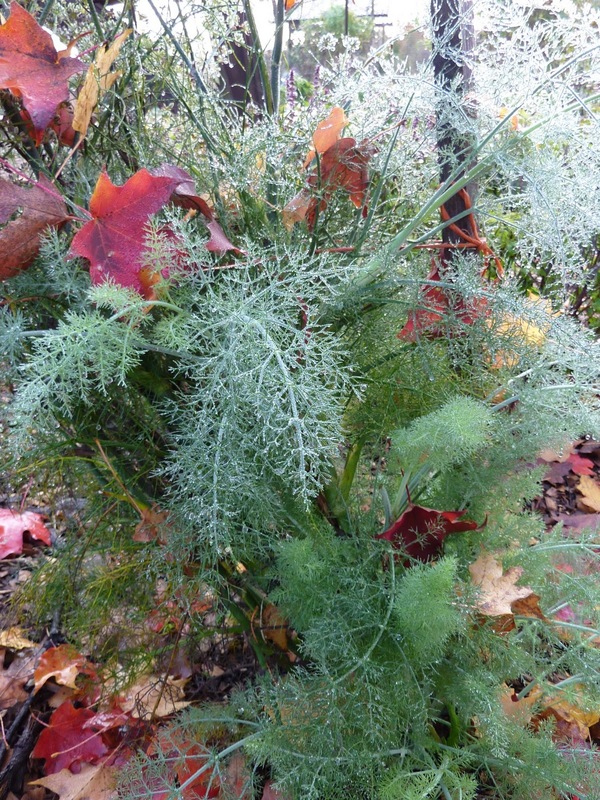 Your photos may make fennel a popular landscaping addition. Two-thumbs up! I'd love to have your recipe for the Swedish Limpa bread . . . sounds kind of like one I made years ago. Made with rye flour? Yes, Suzan, it's made with rye flour. The recipe comes from James Beard's Beard on Bread, which you can get really inexpensive copies of at used book sites like abebooks.com. Bob, most of the fennel grown for landscapes is the gorgeous bronze variety, but I think the regular one is nice-looking too (just cut it back before it throws seeds all over the place). Oh I agree!!! that photo of fennel behind the monarda was very fetching. And you say this can be a pest????? I love lazy gardening where you let what wants to grow, grow and go off and start a new hobby. I saw green perilla used at Chanticleer as an ornamental last year and will not weed one of them out of my garden this year! I've found that both fennel and perilla throw seeds like crazy, so either you do a lot of weeding in the spring or remember to cut the seed heads off. Lazy gardening is great, but you want to have room for SOME other plants. Also, fennel has a taproot so it's a pain to dig out even small seedlings.